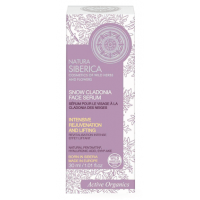 Natura Siberica Snow Cladonia Lifting Day Cream has been specially created to give ageing skin the boost it needs to look younger. Snow Cladonia, which stays green even during severe Siberian winters, contains Usnic Acid, a unique active ingredient which works to actively restore skin cells and effectively slow down the ageing process. Natural Vitalayer® gives your skin a smoother texture and improved elasticity by boosting the production of Hyaluronic Acid which deeply moisturises the skin and reduces wrinkles. Anti-ageing SYN®-AKE and SYN®-COLL complexes regenerate skin cells and stimulate collagen synthesis, renewing the glowing appearance of youth. 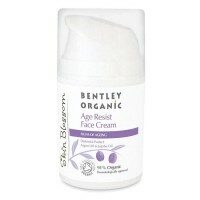 Wild harvested Siberian Ashberry Extract and Organic Wheat Oil beautifully soothe and heal the skin. SPF-15 protects skin from dehydration caused by UV rays. 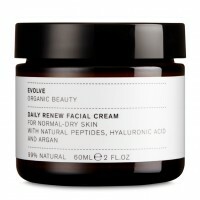 How to use: Apply in the morning to a clean face avoiding eye and lip areas. Suitable for everyday use. For the best results use with Snow Cladonia Face Serum. 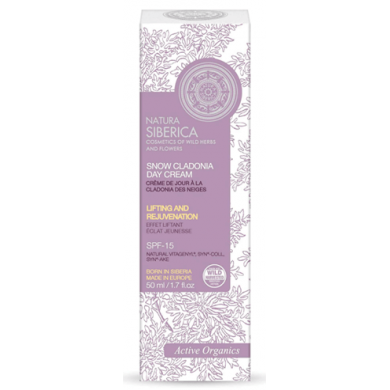 Evolve Organic Beauty Daily Renew Facial Cream is a rich moisturiser that replenishes and nourishes ..
Natura Siberica Snow Cladonia Lifting Face Serum effectively revives the complexion, smoothing away ..